Theresa May has rebuked Boris Johnson over controversial comments he made about the dress of some Muslim women. The British prime minister said her former foreign minister had caused offence and indicated that she agreed he should apologise. The furore follows an article Johnson wrote for the Daily Telegraph on Monday. Referring to the burka, he said “it is absolutely ridiculous that people should choose to go around looking like letter boxes”. He added that if “a female student turned up… looking like a bank robber” he would ask her to remove the item covering her face. The ex-foreign secretary – who resigned from the UK government last month in protest at May’s Brexit plan – said he did not think Britain should ban the burqa. He was commenting on Denmark’s introduction of a ban in public places. Of several different kinds of coverings worn by Muslim women, the burka (also spelt as burqa) conceals the face and body, often leaving just a mesh screen to see through. Theresa May said anyone talking about such issues should “think very carefully about the language that they use and the impact that language has had on people”. The prime minister said people should have the right to practice their religion, and “in the case of women, and the burka and the niqab – how they dress”. She said she agreed with her party chairman Brandon Lewis, who has called on Johnson to apologise. The founder of the Conservative Muslim Forum said Boris Johnson had every right to comment on the burka, but mocking women for wearing the item was "wrong" and "divisive". “His words were inflammatory and pander to the far-right narrative that Muslims do not belong in this country. These comments divide our country at a time when we are under so much stress already,” Mohammed Amin said. 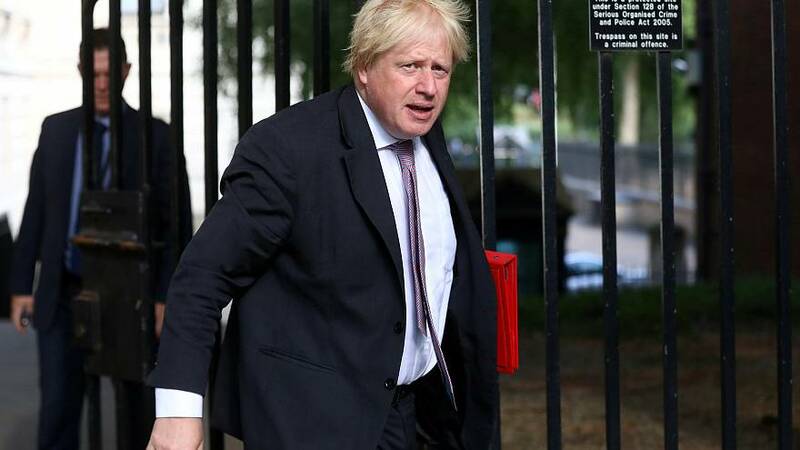 Others have accused Boris Johnson of seeking to exploit a sensitive issue to put himself back at the centre of the political stage, at a crucial stage of the Brexit negotiations. Many Conservative activists who back his stance for a clean break with the EU are thought to back the ex-minister as a potential successor to Theresa May.